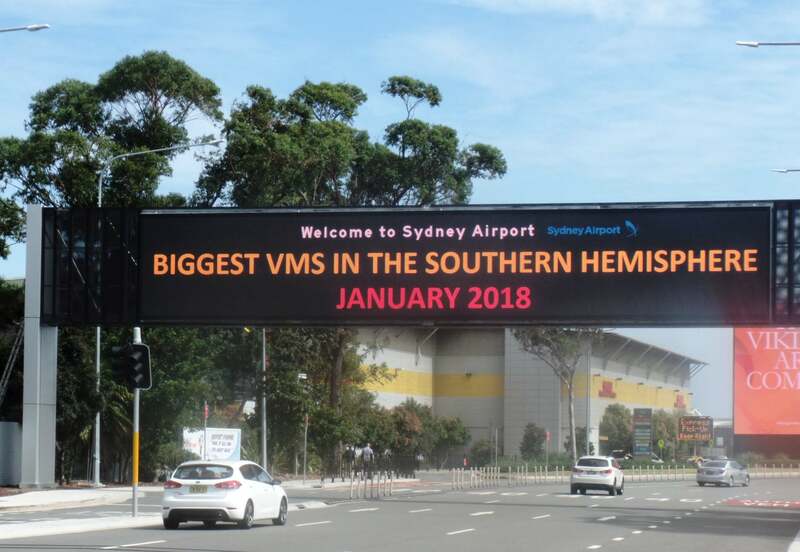 SWARCO installs the largest variable message sign (VMS) in the southern hemisphere at Sydney Airport - with brilliant and economical LED technology from Austria. 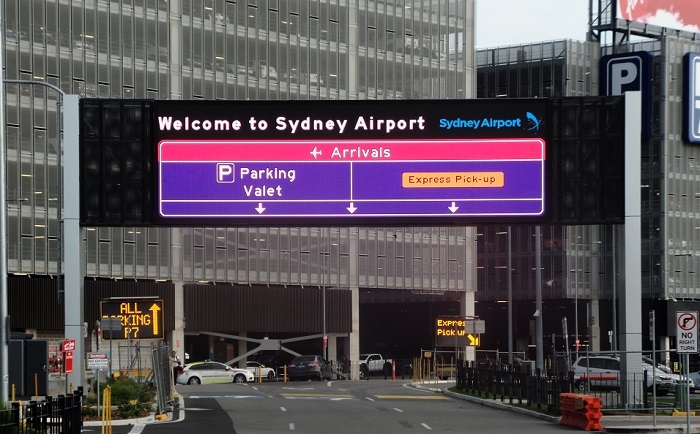 Highest information quality with low overall costs - according to the briefing from Sydney Airport Corporation Ltd. (SACL), which in March 2017 awarded SWARCO's Australian partner company BRAUMS the contract for the major variable message sign project. 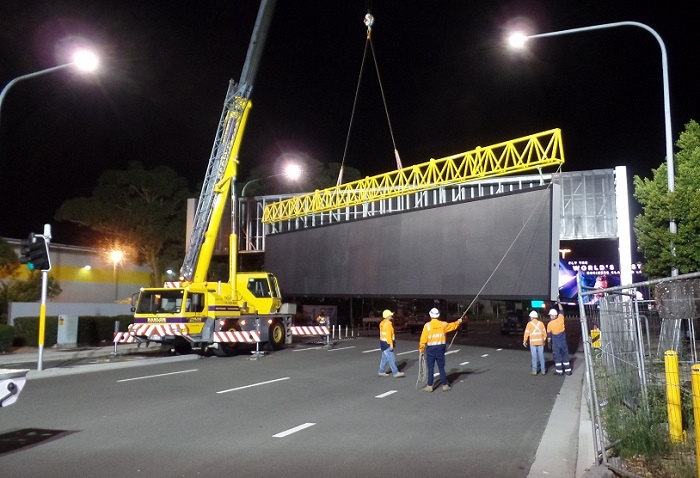 Eleven months later, the first four of 13 panels impress right down the line: up to 22 m wide, almost 4 m high and with more than 750,000 LEDs, at a pixel pitch of 16 mm, to display pin-sharp, high-resolution graphics. With high, uniform luminous intensity, brilliant colours thanks to optimum contrast values and low power consumption at a beam angle of more than 60°, the systems set new standards in LED technology for such large information boards. A display area of 65 m2 with an average power consumption of only 2,000 W was previously unthinkable in this order of magnitude. Even more impressive - also for us: the huge, full-colour LED panels consume only slightly more electricity than a hair dryer and can simply be connected to a 230 V socket! Even the emergency operation of the panels with full functionality via a battery operated UPS (uninterruptible power supply) is no problem. The LEDs are operated well below 10% of their rated capacity, which significantly reduces the failure rate and further increases system availability. This in turn leads to considerable savings in maintenance and spare parts. With a suitable browser (MS Internet Explorer, Google Chrome or Mozilla Firefox) you can control the web-based user interface for monitoring and changing the status at any time. "SWARCO's control software is a cost-effective solution for controlling a limited number of LED devices in "island mode", e.g. 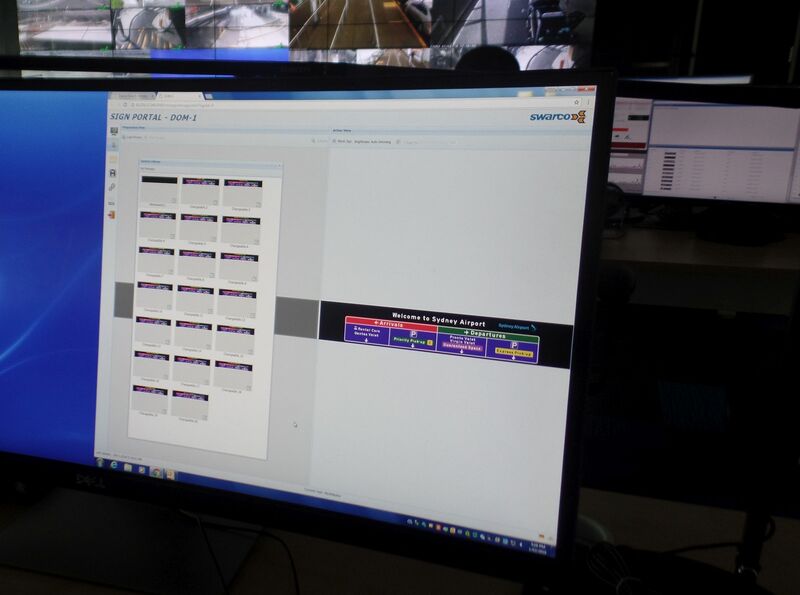 at customs or toll stations, ports, airports, parking lots or exits for emergency vehicles," explains Wolfgang Ernst, SWARCO VMS Product Manager. 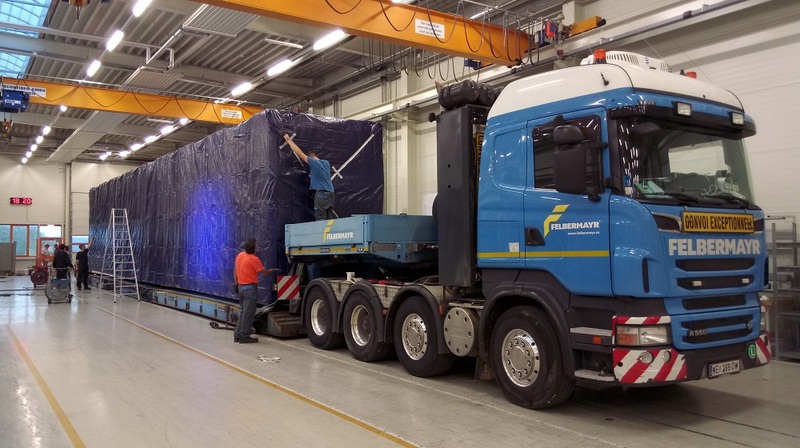 And the customer, SACL, is also excited about SWARCO's total solution, which represents a quantum leap in performance as well as the unmatched low total cost of ownership of LED information technology. Or to put it another way: a real highlight for us when it comes to technology and cost efficiency.